WELCOME HOME TO 10709 SADDLEBROOK! THIS CUSTOM BUILT 1.5 STORY BEAUTY FEATURES OVER 3100 SQ. 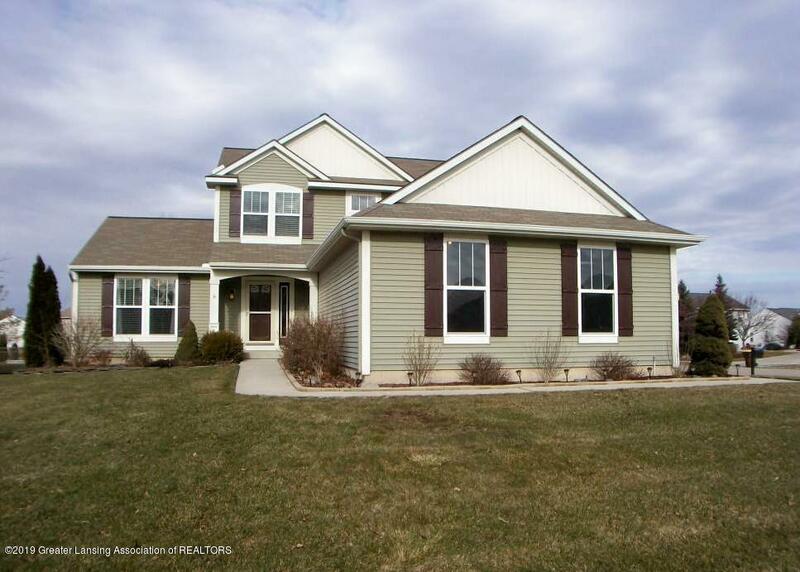 FT OF FINISHED LIVING SPACE, VAULTED CEILINGS, GRANITE KITCHEN WITH STAINLESS APPLIANCES, 1ST FLOOR LAUNDRY AND MASTER SUITE, FIREPLACE, FINISHED BASEMENT WITH WET BAR AND FUTURE 4TH BEDROOM, 3 CAR GARAGE, FENCED CORNER LOT YARD AND GRAND LEDGE SCHOOLS AS ICING ON THE CAKE! THIS IS A MUST SEE HOME AND IS READY FOR IMMEDIATE OCCUPANCY! HURRY THIS WILL NOT LAST!